Congratulation to current session winners of This forum. Congrats to all the ealp winners do more hard work and earn more. Congrats to all the ealp winners from my side and i wish you all to participate in all the forums like this and share your knowledge. Welcome beck to this forum after two months.I will try my best from the previoue. I congratulates all the winners during my absence. I really like the way to earn money and the knowledge from this platform. I am thankful to the support provider for this forum. Best of luck for today result. Its very interesting to be participate in the current session.Because this is the only session with 13 days. I also be happy to be participate in the current session. Hurry up its only 4 days 11 hours remaining in the current session. But be honest during posting your answers. And Congratulations and keep it up. Its the time to prove ourselves.I mean to say it is the time to end the current session. I want that i would come in the top 20 list. I am so happy to join the ealp. I thanks to the forum provider as well as the support. Be stringent with forum rules and do not try to violate it. As i am new to this forum i want to congratulate the previous winners & also welcome the new participants. Thank you support & admin. Its my pleasure to wish a best of luck to all the participants. i hope that in this session i will also got the ealp scholarship. Thanks to the support for providing the forum. First of all congratulations to all the members who won scholarship last session and best of luck for this new session. Be stringent with forum rules and never try to do any thing wrong as per forum rules in order to get good ranks. I am here to congratulate all the winners for their good deed and success in the previous session. Hope the Current one will also be better than the previous. And this forum gives lot of information about iPhones and iTunes and computers. And who are between 21 to 100 that type persons eligible to take consolation prize. So keep posting and keep rolling. But also keep in the mind the quality must be there. Do not copy from other sites. The results will be announced this forum twice a month. This will also give consolation prizes for the candidates who is between 20 to 100.
congratulation to all the winners!!!!!!!!!!! I must get good rank in this session. also eligible for consolation prizes.Their prizes is kept safely whenever they reach within 20th rank their consolation prize money is sent to the participant's address together. -->I congrats to all winners and coming winners. -->I am participating first time in this forum. -->All the best of all the members. Congratulation to last session's winner.This forum announce result twice a year. without registration fees you can register your name and can be a permanent member. 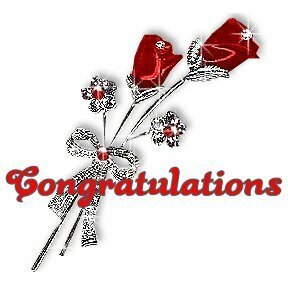 First of all i want to congratulation to all the winners of the previous sessions that i have missed on this forum. Hope this session will be good for me. To every deserved winners, a big congrats from me. AND TO OTHERS ALL THE PARTICIPANTS. Congratulations to all the winners of previous session , and all the best for all the consolation price winners. EALP Resulting process is very good and genuine . Hope this good work continuous . CONGRATULATION TO ALL THE WINNERS . ALSO HANKS TO ALL THE PARTICIPANTS, MODERATOR.